A pioneer of lifelong learning, Hanna Fromm dies at 89 – J.
Hanna Fromm had a favorite saying about the elderly: "They may wear out, but their minds will never rust out." 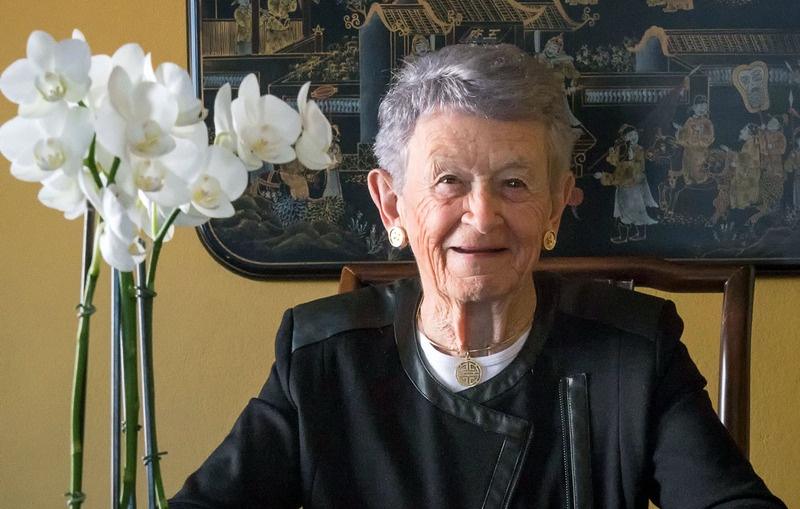 For nearly three decades, the Jewish refugee from Germany dedicated herself to the prevention of mental corrosion as founder and head of the S.F.-based Fromm Institute for Lifelong Learning. Based at the University of San Francisco, the institute conducts classes for more than 1,000 retirees annually on a plethora of academic subjects taught by emeritus professors. Since its creation in 1976, the center has served as a model for similar lifelong learning endeavors worldwide. Fromm, who died Jan. 2 shortly after her 89th birthday, was one of the program's most ardent and ubiquitous students. Up until the last few months of her life, Fromm not only oversaw the mini-university as its executive director but sat in on practically every class. "She made it her business to visit just about every one of them," said Robert Fordham, the institute's program director. He said Fromm had a habit of slipping into the back of classrooms to soak up lectures and "just enjoy the program she'd worked so hard to create." Her favorite subjects were medical lectures and music courses, but "she loved everything," said Fordham, who 16 years ago came to the institute, which has a sister program in Jerusalem. Funding for the programs came largely from Fromm and her late husband, Alfred, a Bavarian-born vintner and wine distributor who died in 1998. Fordham said the Fromms had a deep commitment to philanthropy but were discreet and unassuming about their considerable contributions. "She was always elegant in every way and yet she was very forthcoming," said her son-in-law, Rabbi Brian Lurie of Marin County, former executive director of the S.F.-based Jewish Communtiy Federation and the Jewish Museum San Francisco. "She carried herself like royalty." Born to a prominent German Jewish couple in the early 20th century, the former Hanna Gruenbaum dreamed of becoming a physician like her father. The rise of the Nazi regime and her father's death during her teens dashed those aspirations, however, and Fromm wound up training instead as a dancer and choreographer at the Laban School of Dance and Music in Germany. In the mid-1930s, she was on the campus of the University of Essen trying to pick up her diploma when she found herself in the middle of a Hitler rally. A bystander recognized her and hustled her away to safety. She later studied fashion design in Paris and lived for about a year in pre-state Israel. In 1936, she married Fromm, who was a member of a prominent family of vintners, and the couple sailed to the United States with just $50 in their pockets. The Fromms eventually wound up settling in Northern California, where Alfred Fromm began a longtime partnership with the Christian Brothers winery. "Both she and Alfred were very public about their patriotism," Fordham said. "Their family deeply felt if they were able to regain wealth and prestige, they would never forget the American people. "Like many German Jews, she never set foot in Germany again." An elegant woman with a fondness for Chanel suits, a good joke and brown-bag lunches, Fromm signed up as a volunteer for the American Red Cross during World War II. When a call went out one morning for a truck driver, she enthusiastically offered her services — though she never before had commandeered a big rig. Arriving at the Mare Island shipyards in Vallejo, Fromm learned that her assignment was to haul a huge ship's anchor loaded on board a flatbed truck all the way to the San Francisco shipyards. "She didn't know what the heck she was doing," said Fordham. But Fromm wasn't one to give up or admit defeat. "She managed to get that thing in first gear and managed to drive it all the way to its destination. Job accomplished." After the war, her volunteer work took other directions. In the 1950s, Fromm co-founded the old Music in the Vineyards concert series in Saratoga as an entertainment and charitable event. In 1979, Fromm and her husband were awarded honorary degrees of doctor of public service by USF. "She finally became a doctor," noted Fordham. A member of San Francisco's Congregation Emanu-El, she served on the boards of such organizations as Amnesty International and the National Council of Fine Arts Museums. 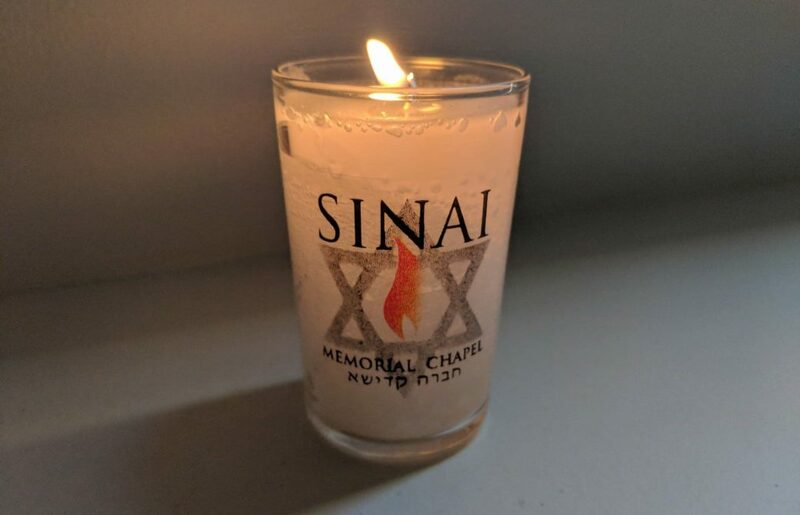 Survivors include her son, Dr. David Fromm, and his wife, Barbara, of Grosse Point Farms, Mich.; her daughter, Caroline Fromm Lurie, and her husband, Rabbi Brian Lurie, of Ross; five grandchildren and many great-grandchildren. Private family services were held immediately after her death. A public memorial service will be held at 1 p.m. Friday, Feb. 14 at USF's McLaren Center. Donations may be sent to the Fromm Institute for Lifelong Learning, 2130 Fulton St., S.F. 94117.